Propeller Anime: Next Propeller Anime Meeting on Sunday, November 20th featuring Onigamiden! Then in Nichijou, cute girls do cute things and it's very moe. Seriously there's no plot to this show. You can jump in whenever. It's similar to Azumanga Daioh. You like that, right? 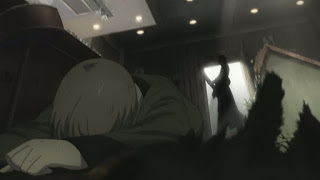 After our intermission, we'watch more Umineko no Naku Koro ni. This will feature a debate from purgatory on logic vs magic and a discussion on how six people could be murdered from inside a locked room! Our feature we'll be showing at the end of the meeting is Onigamiden! 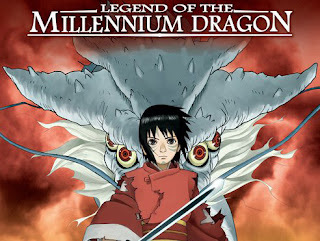 Also known as Legend of the Millennium Dragon, it's 2011 movie directed by Hirotsugu Kawasaki. You can like Propeller Anime on Facebook, follow us on Twitter, and now include us in your Google+ circles! Get updates and stay connected! See you on November 20th!